Erik should have died on the battlefield. All of his fellow soldiers were killed in an ambush and sent to Valhalla by Brenna, a fierce Valkyrie. She spared Erik, which is something she shouldn't have done. That's why her mission is to track him down and correct her mistake. Erik is difficult to follow and never stays anywhere long enough for her to easily find him, but once they finally meet again Brenna knows she can't kill him. What are the consequences of failing the task she's been assigned to complete? Erik can't forget the beautiful woman he saw during the worst moment of his life. When he meets her again he's intrigued enough to risk his own safety. When Brenna proves to be incapable of taking his life, Erik's protective instincts come to the surface. He will make sure that Brenna won't be punished for not completing her mission. Together they set out on a journey to stay out of the hands of the hunter that's been sent after them to complete what Brenna couldn't do. Will they be able to save themselves and fight for their love or are they doomed from the start? Her Alpha Viking is a gripping romantic story. Erik is a strong and capable warrior. He has a kind heart and is constantly looking after others. I loved his heroic nature and couldn't wait to find out how he'd deal with the challenges that higher powers are giving him. Brenna was a Valkyrie for centuries and she never did anything wrong, but when she's with Erik she is a different person, even though giving in to her feelings results in being stripped of her powers. I loved how she keeps following her heart, she doesn't hesitate while it means the life she used to love is over because of it. Erik and Brenna find many obstacles on their way, but they persevere. They're both fiery and brave main characters, which makes fabulous reading. 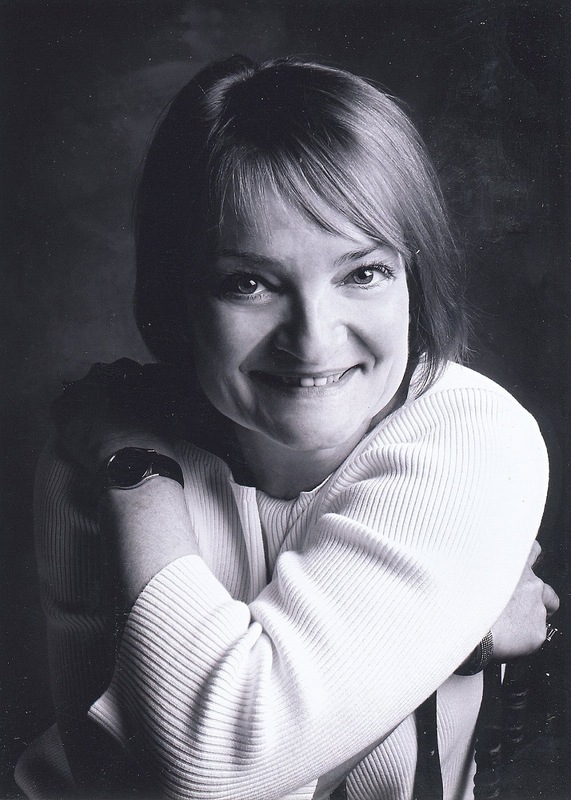 Sheryl Nantus has a great thrilling writing style. I flew through the pages of her action-packed story. 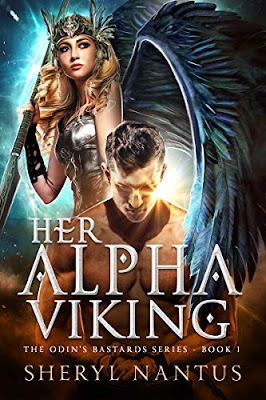 Her Alpha Viking is a wonderful combination of fantasy and veteran life, which is something I liked a lot. I loved the mix of a creative fictional world with reality. Sheryl Nantus effortlessly switches between the two, which makes the story feel real and dynamic. Her Alpha Viking is energetic, enchanting and captivating, I loved this terrific book. If you love romance combined with fantasy and plenty of action, Her Alpha Viking would be a perfect choice. One very lucky reader of With Love for Books will receive an $25 Amazon gift card and a digital copy of Her Alpha Viking by Sheryl Nantus. 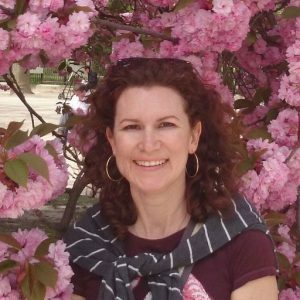 Michelle Simpson is a Professional illustrator and designer based out of the Niagara Region. Michelle graduated with a BAA in Illustration from Sheridan College and now works as a freelance illustrator; she is also a concept artist for KeyFrame Digital Productions; here she creates artwork for children’s television shows. I am Canadian born and grew up in the forests of Niagara Falls Ontario. I am now a full-time freelancer and work with KeyFrame Digital Productions; where I create artwork for children’s television shows such as: Tee and Mo, and Season 2 of Ollie: The Boy Who Became What He Ate. 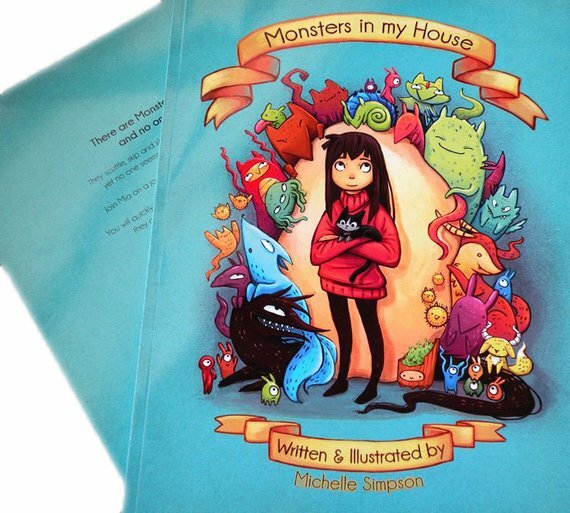 I have also written and illustrated the children’s book Monsters In My House, and illustrated Hanukkah Harvie Vs. Santa Claus by David Michael Slater & Published by Library Tales Publishing. In my spare time I like to garden, go for forest walks, and annoy my cats Sushi and Mr.Pounce with endless amounts of love. 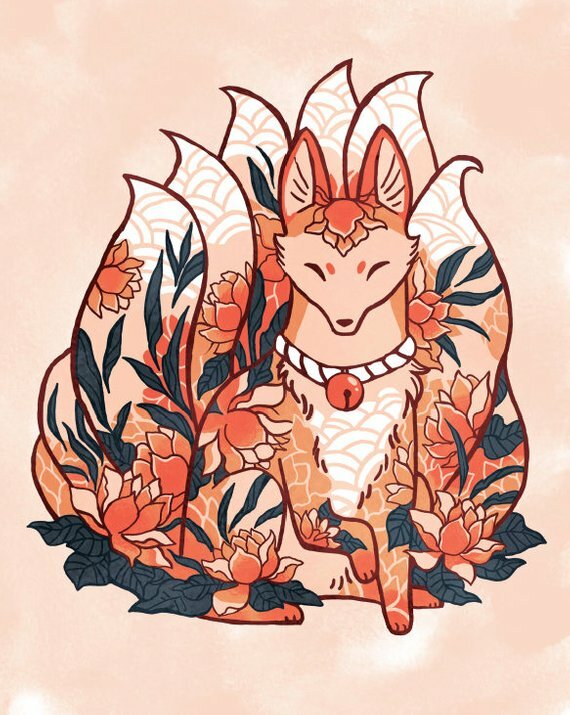 I am heavily inspired by nature and mythical folktales from around the world. I was always a tomboy as a child, climbing trees and getting super dirty. My best childhood memories were outside under a tree canopy. My biggest artistic inspiration will always be the works of Studio Ghibli, preferably Princess Mononoke. 3) Where did you learn to design? I studied at Sheridan Collage and graduated with a BAA in Illustration. KeyFrame Digital Productions is a really fun environment because you’re surrounded by like minded people, most of them animators and concept artists. Visually it’s just a bunch of rows of computers with a nice coffee bar at the one end, the people are what make the work space so great. My home workspace consists of my computer desk for digital work, another desk for my traditional work, lots of illustrations plastered all over the walls and usually a cat trying to sleep on my keyboard or lap. 5) How do you select the fabrics you use? I don’t use much fabric in my items, I don’t have the patience for sewing, although I wish it did. I started my store to make a bit of money in College, a couple of my classmates had a store so I thought I’d give it a shot. Slowly the whole store has snowballed and transformed over the years into what it is now. Anyone can do it, it’s just a matter of putting the time and work into it. It’s the same as any kind of work, you just need to be diligent and persistent to pull through. 7) You make bookish items, where does your love for books come from? My Parents always made a point to read to me before bedtime when I was little. I loved Franklin for the story and beautiful artwork. My mom always made sure I had the most resent award winning books in my hands as I grew up as well. As I came into my teens I read a lot of Comic Books / Manga. 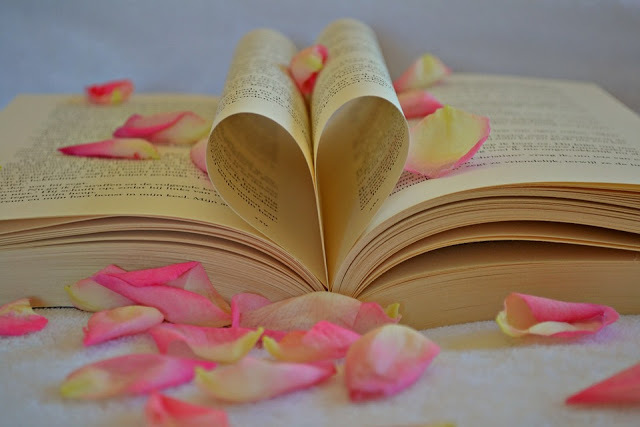 My love isn’t only for books but the general art of storytelling. 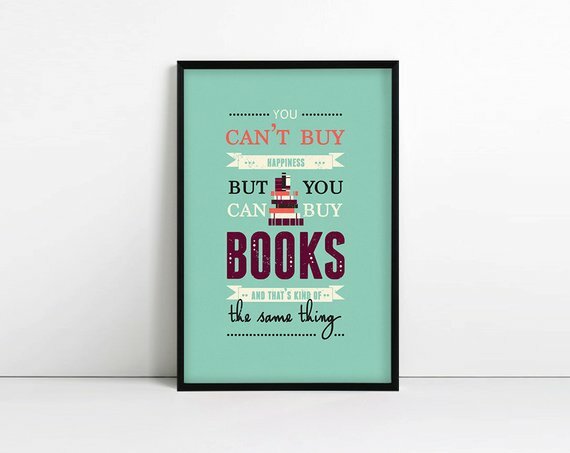 I’m a very picky reader now, I have a hard time finding books I really like. If I had to pick an all time favourite book it would probably be The Life of Pi, and of corse, the best series of all time; Harry Potter. In regards to material possessions; 99% of all my non life sustaining belongings are Art or Literature based. In regards to materials used for artwork; I’ve experimented with everything. I love trying new things. I’d say the majority of all my artwork now is either done on the computer or mixed traditionally with watercolour. When I was little, I can remember the first time I really discovered drawing. I was on the floor with a huge tin of crayons and I remember asking my mom and dad which hand I should draw with. They said which ever one I preferred, my left was the most comfortable. I remember I drew a snowman, and something clicked inside my little brain. My mind was blown that I could make anything I wanted on this piece of white paper. And that was when I knew that I wanted to do this for the rest of my life. So long story short; I’m able to support myself with my passion. 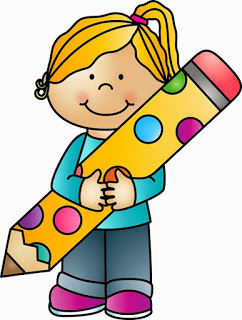 I create something new on that blank piece of paper every day, which is exactly what my child self always wished for. 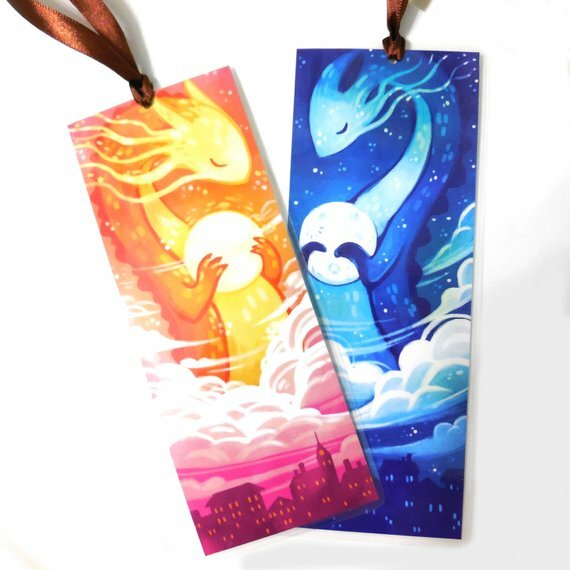 Two very lucky readers of With Love for Books will receive a bookmark of choice from Michi Scribbles. When Anniek and Suze asked me to write a guest blog post about what made my heart beat faster my first silly thought was: “You mean besides trying my luck on a treadmill for the umpteenth time?” It usually takes only five minutes before I realize just how hard my heart is working and I find myself gasping for air, chest hurting, and with a beet red face. Then I stop the machine, collapse on whatever flat, unmoving surface is nearest, drink a bottle of water in one go, and give the treadmill a rest for at least another year. And I know everyone says it’s just a question of practice and constancy, and that with every new day it gets easier, but I’ve reached the point where I might finally accept that I’m not a runner and will never be. So to move on to less potentially physically damaging ways of jacking up that heart rate, it took me only about half a second of serious reflection to realize that this year for me it would be really easy to answer Anniek and Suze’s question. Because what made my heart beat the fastest it has ever had in its life—yeah, even faster than the treadmill for once—was to hear another heartbeat for the first time, one that wasn’t mine. Ta-dah! I’m pregnant with my first baby. Six months later, I’m not over either phase. But hearing my tiny baby’s heartbeat for the first time and seeing my husband get a little teary-eyed as we stared at the monitor has definitely been the stronger emotion for me to date. One that definitely made my heart beat faster and made me feel so alive—for the whole of five minutes, then I had to go throw up again and reverted to slug status for the next three months. And I can’t even begin to imagine what the excitement will be when we’ll finally meet him—yes, it’s a boy!—in just a few months. So if you have any advice on how to survive labor, breastfeeding, or really any suggestions for first-time moms please fire away, I’m ready to absorb all the wisdom I can before the baby makes his debut into the world. 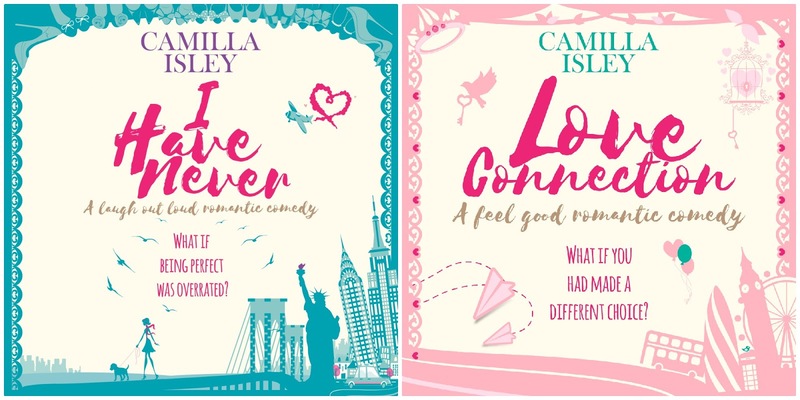 Three very lucky readers of With Love for Books will receive audiobook copies of Love Connection and I Have Never by Camilla Isley. Seven runner ups will receive an audiobook copy of I Have Never. Rosy loves living in Penmenna. She’s the headmistress of the village school and has built a great life for herself. She’s still single and isn’t looking for love after having her heart broken in the past, so when a handsome man moves into the cottage next door Rosy is determined not to fall for him. Matt is a successful gardener, working on a television show. When he sees Rosy for the first time, he knows she’s special, will he be able to win her heart? Rosy’s job is on the line. There are plans to close her beloved school. Even though it performs outstandingly, higher powers want several schools to merger. Nobody in Penmenna wants to lose this important, welcoming part of their community. Rosy needs all the help she can get and Matt offers his assistance. Will she be able to resist his charms once they’re spending a lot of time together? The Cornish Village School - Breaking the Rules is a wonderful heartwarming story. Rosy is kind, smart, capable and organized. However, she lets her past influence her present and doesn’t easily let people in. Matt likes her a lot and doesn’t give up, I loved his persistence and genuine and friendly personality. He’s handsome and sweet, which is a fabulous combination. It was fun to read about their adventures and I couldn’t wait to find out if these two adorable neighbors would have a chance at true love. I read their story in one sitting and enjoyed every single page. Kitty Wilson has a terrific sense of humor. She combines sizzling chemistry with hilarious situations and this works very well. Her story oozes charm and I was entertained from beginning to end. I loved her warm descriptive writing style and could easily picture every single scene. I enjoyed the large number of surprising twists and turns, the gorgeous atmosphere and the great fast pace of the story. 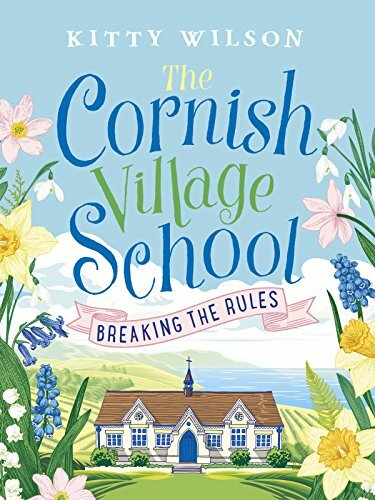 The Cornish Village School - Breaking the Rules is a delightful feelgood story that made my heart melt and put a big smile on my face. If you love heartwarming stories set in small towns with plenty of humor and romance, you don't want to miss The Cornish Village School - Breaking the Rules. Kitty Wilson has lived in Cornwall for the last twenty-five years having been dragged there, against her will, as a stroppy teen. She is now remarkably grateful to her parents for their foresight and wisdom – and that her own children aren’t as hideous. She spends most of her time welded to the keyboard or hiding out at the beach and has a penchant for very loud music, equally loud dresses and romantic heroines who speak their mind. Thank you for inviting me on, I’ve always been a big fan of the blog so it’s lovely to be here. I thought I’d share with you the four things that really helped me shape the sort of book I wanted to write. I knew it would be a romantic comedy but from there I had to sit and have a think. Luckily, I didn’t have to go far to find inspiration. The first, and perhaps most obvious, inspiration is Cornwall. I have lived here for twenty-five years after being dragged here by my parents. Initially I fled back out again, furious that they had moved me (at sixteen years old) from a city to a village with only a church, a pub and a village shop; and that was the front room of someone’s house and opened on Wednesdays. However, I came back a year or two later and fell in love. And how could I not? There is a magic in the air here that infuses the whole county. The pace of life is so much slower, everyone is relaxed and no-one is rushing anywhere unless it’s to catch the tide or ride a wave. It is a county crammed full of mysticism, romance and intrigue which is why it has leant itself so beautifully to epic stories of love, and danger, like Poldark and Penmarric, Jamaica Inn and Frenchman’s Creek. It has golden beaches that stretch for miles, hidden coves, rambling moors and tangled woodlands. And I get to see it all, every single day. Cornwall is so beautiful; every glance and turn lifts your heart and makes you think of things that might have been or could be. Not only is a setting, it’s a therapy. With every writerly niggle I take myself to the beach and sit back and breathe as it resolves itself. Magical air. Following on from that is my local village. Penmenna is very much a figment of my imagination and not the village near me. However, living next to a village has taught me how community life down here is supportive, inclusive and life-affirming. Villages are a microcosm of human life and you will find all the problems and all the joys here that you will up and down the country; it doesn’t matter how pretty the setting, human emotion and responses are the same the world over. Villages across Cornwall were the physical inspiration for Penmenna but my own experiences of village life helped me shape the community in the book. It helps that they are usually full of the outrageous - there’s nothing as eye-opening as a village fete, don’t be fooled into thinking it’s all jam and a tombola. I’d tell you more, but they’d kill me! 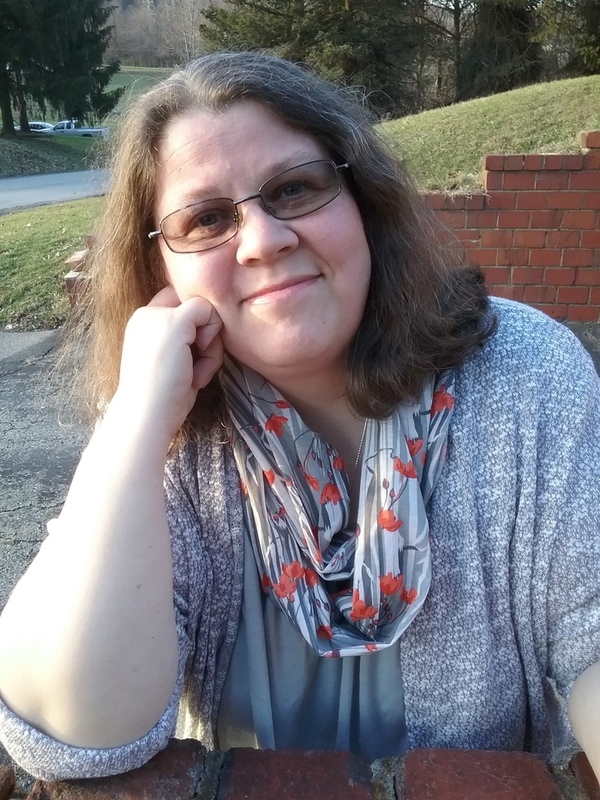 I am a parent, (my children are largely feral - so I should be careful claiming that) and have been both teaching assistant and Infant school teacher. My professional life and personal life mean that I have been both sides of the school door, experienced the politics of the playground (fierce) as well as the inner workings of the staff room (much friendlier). Schools are fascinating places once you scratch the surface a little. Teachers come in all shapes and sizes and all have a strong desire to encourage a love of learning, just usually with very different styles. I know lots of Harmony’s and Amanda’s. What used to drive me mad as a teacher, and even madder as a parent - competitive mothers thrusting their child’s high-level book band in everyone else’s face, discussing how so and so had such and such in their lunchbox, and did you hear about x’s husband - did give me a beautiful starting point for the woman who became my favourite character. Schools are often the hub of community life and have a history within a village that stretches back generations, so as well as the personalities in a school I wanted Penmenna to reflect that side of the community, often a tether for parents, children and teachers alike. Finally, everything I have ever read ever. 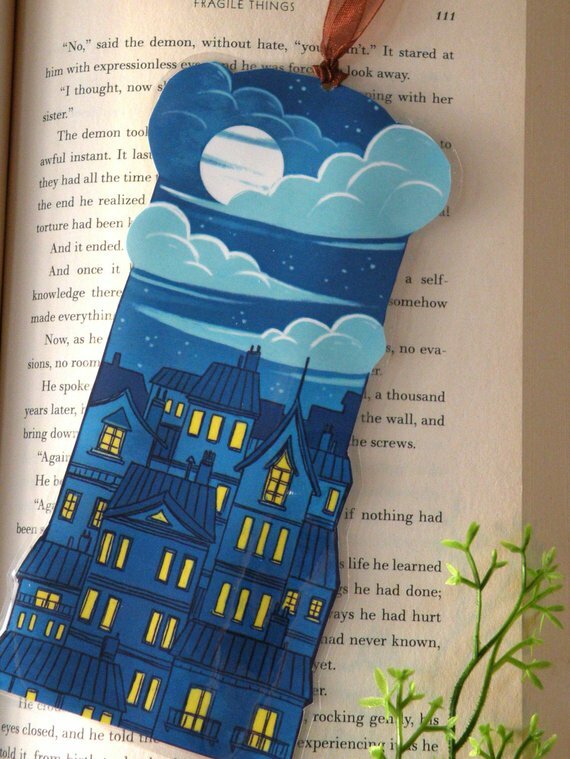 I didn’t think as I was growing up that reading was anything more than pure escapist heaven. Little did I know that when I was an adult I would become an unintentional cuckoo and that every characterisation, every plot point would be still sitting in my head, deeply buried, and help me to write. When reading we identify what we love in a book, what we hate, how this twist works and that one doesn’t and then it feeds into our writing without us consciously aware of it. Other writers often give us permission to be bolder than we are comfortable with and light the way, their books relax and inspire and I love them all. Three very lucky readers of With Love for Books will receive a digital copy of The Cornish Village School - Breaking the Rules by Kitty Wilson. Hannah can finally breathe again when her divorce is finalized. She’s happy her abusive ex-husband can’t hurt her anymore. Having full custody of her daughter Sophie is a big relief as well. Hannah is independent at last and she’s going to make the most of her newfound freedom. Together with her friends she’s ready to make a fresh start. Will she be able to leave her devastating past behind and find the happiness she deserves so much in her future? Hannah wants to offer others in the same situation a place to stay, so she registers her home as a safe house for abused women. With her best friend Travis to protect them at night, Hannah can find closure while helping others who are going through a traumatic experience that resembles her own. Hannah and Sophie are slowly healing while receiving plenty of love and attention from the people dear to them. They have much to give as well and slowly a new normalcy begins. Will Hannah be able to let love in again when the opportunity of a lifetime presents itself? The Lullaby Sky is a fantastic story filled with love, warmth and positivity. I loved how Hannah surrounds herself with goodness and light after many years of terror. She’s found her strength and is using it to help others. She’s a wonderful sweet woman with a heart of gold. Together with her adorable little girl Sophie she finds back the fun in life and can finally enjoy herself and smile again, which is such a great theme for a story. Carolyn Brown combines this with brilliant main characters. Hannah's best friend Travis, for example, is a kindhearted endearing man and I loved his gorgeous gentle personality. For me the main characters really made this story, they are all a true delight and I enjoyed every single word of their adventures. 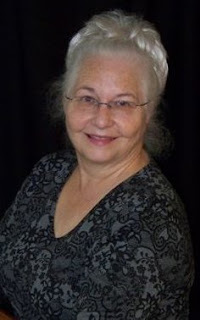 Carolyn Brown has a fabulous enchanting writing style. I love how she manages to create a perfect fitting atmosphere for each story she writes. It works every single time. The Lullaby Sky is a very special book about precious moments, unconditional love and beautiful friendship. I enjoyed every single page of this impressive story. Carolyn Brown's books keep surprising me, they're fantastic gifts and every time I read one of her novels it feels like Christmas. I absolutely adored The Lullaby Sky, it's an amazing book and I highly recommend it. If you love beautiful stories about friendship, true love and fighting for a better future The Lullaby Sky is an absolute must-read. 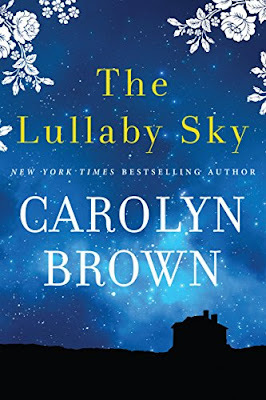 One very lucky reader of With Love for Books will receive a signed paperback or Kindle copy of The Lullaby Sky by Carolyn Brown (winner’s choice). Jaz is forced to make a fresh start. She was part of a loving family, but she lost everything and is heartbroken. She ends up in Sunnybrook where she gives zumba and yoga lessons. She also can be found at the Little Duck Pond Cafe on a regular basis. There she forms a close friendship with Ellie and Fen. She needs friends more than ever, but she can’t tell them the truth about her past. Through Fen, Jaz finds a job as a manor tour guide, so she has means to support herself. Can she finally have that new beginning she so desperately needs? When Jaz meets Harry she isn’t ready for more than friendship. Plus she needs to stay away from his photography skills, because she can’t be found in Sunnybrook by her ex. Harry’s cheerful character makes her curious, but wary at the same time. Will Jaz be able to let him in and find another chance at happiness? 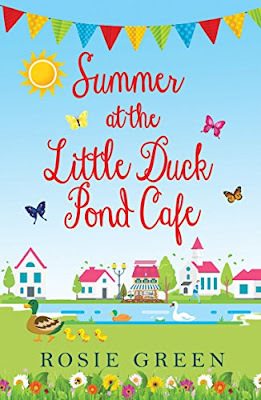 Summer at the Little Duck Pond Cafe is a fabulous feelgood story. Jaz’s relationship ends in a terrible way and being on her own is tough, especially since she misses the daughter of the man she used to love. I could easily feel her pain and completely understood her determination to keep in touch. 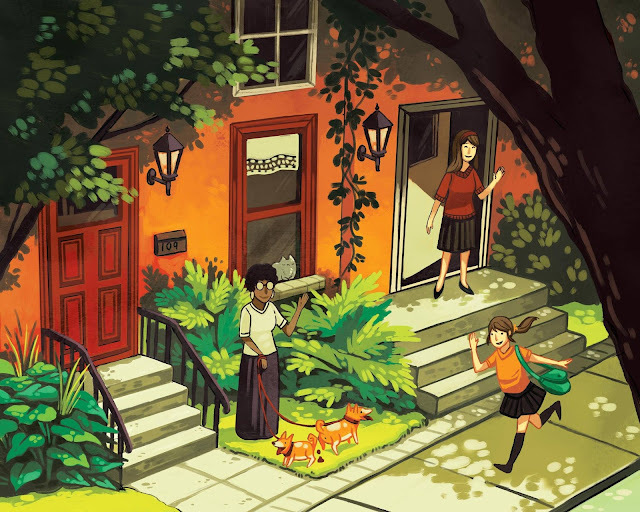 Jaz has to find a way to make a life for herself in Sunnybrook and slowly, with the help of her new friends, she manages to see a future with light instead of just darkness. I loved seeing her grow and couldn’t wait to find out if she’d have some much needed luck and good times again. Rosie Green doesn’t need many words to tell a complete story. Summer at the Little Duck Pond Cafe is filled with charm. It’s a cosy eventful story with plenty of wonderful twists and turns. I really liked this fast-paced novella. 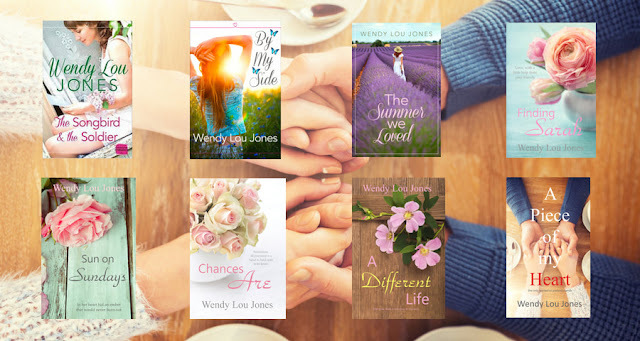 It’s fun, heartwarming and fascinating with delightful main characters and sweet romance. 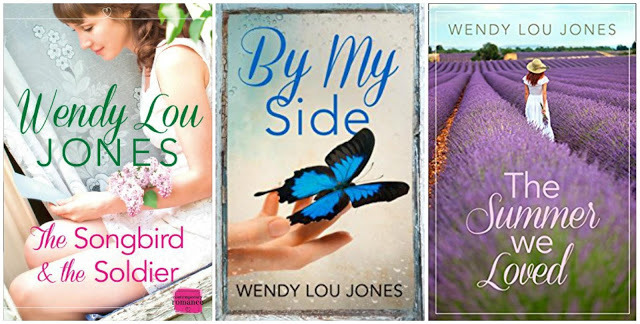 If you love heartwarming stories set in small towns you will definitely like The Little Duck Pond Cafe books. The stories can best be read in their correct order. Rosie’s brand new series of novellas is centred on life in a village café. A fortune-teller once told me (when I was but a young thing of 25-ish) that I wouldn’t really ‘blossom’ until later in life. And I think she was right. My dream was always to become a published author. The ten-year-old me wanted desperately to write like my heroine, Enid Blyton, whose books I devoured with a passion. And I did try. But it was another thirty-odd years before I eventually got serious about the business of writing a book – and a good few more before I finally wrote something worth publishing. But I finally did ‘blossom’. That’s exactly how it feels. And now I keep having to pinch myself that I’m actually an author. These last few years have been the most thrilling, nerve-racking, adventure-filled and chaotic of my life. 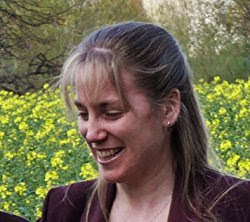 It’s been a steep learning curve but hugely rewarding, too – and there are so many lovely things about the process of writing a book that make my heart beat a little bit faster! Beginning a brand new book – now that is really exciting! Starting with a handful of characters and an idea of plot, and knowing that in just a few short weeks, these ‘stick figures’ will have filled out and become real people in my head. Finishing a book also gives me quite a buzz. A book tends to pick up pace as the finale draws near and I find I write faster, too, caught up in the exciting world of my characters. And there are plenty of moments during the writing of a book when I’ll have a ‘light bulb moment’. I love those times, when I suddenly have a great idea for a plot twist. Of course, the greatest excitement of all is when publication day rolls around, and the book you’ve been working on for months – your precious book baby – is finally released into the world. I’m certain that no matter how many books I might write in the future (and I intend to write a lot! ), publication day will always make my heart beat that little bit faster! 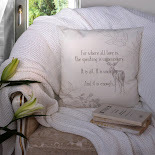 One very lucky reader of With Love for Books will receive one of these beautiful duck tea towels from Rosie Green. 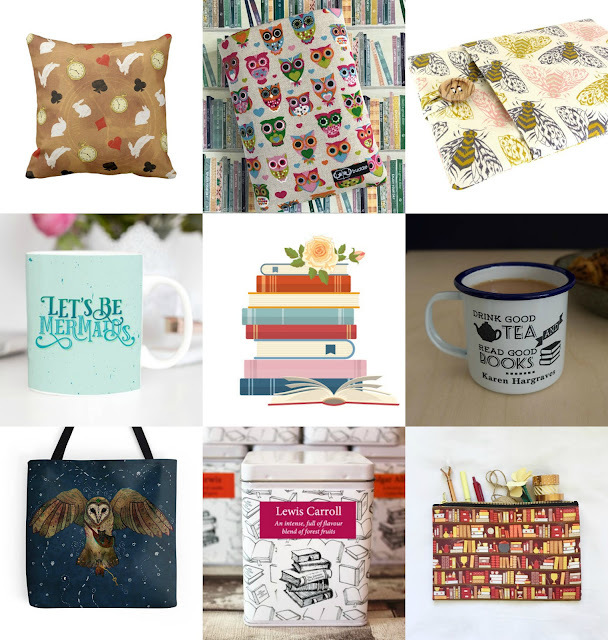 Enter this giveaway for a chance to win books of choice and bookish Etsy surprise gifts (winner will be asked for preferences) worth $30 each. Good luck! Tess has a quiet life. She's working at the local library and spends as much time as she can with her alcoholic father. Tess's world is being turned upside down when she spots her doppelganger walking down the street, entering a hotel. Tess decides to follow her and that is how she meets Mimi. Mimi is bolder than Tess, she isn't afraid to go after what she wants, but there are also many similarities. Mimi and Tess even share a birthday. They have so much in common that it isn't likely that their extreme likeness is just a coincidence. Who is this woman and why has she suddenly entered Tess's life? Having a lookalike doesn't mean Tess can trust Mimi though. When Tess is at the police station answering questions about a body that has been found in a local marsh she doesn't have a choice and has to share her story about Mimi. What is Mimi's involvement in this tragedy and will she be believed? According to Mimi they are identical twins. Tess hasn't seen her mother in years, so is it possible she was gone raising another daughter all this time? Will Tess be able to get to the truth before it's too late to prove her innocence? The Wrong Sister is a fantastic gripping story. Mimi is a complete mystery, which is something I absolutely loved. I was totally mesmerized by the secrets that surround her and couldn't wait to find out more about her fascinating personality. Mimi encourages Tess to step out of her comfort zone, to be bolder and more forward. They are opposites in some ways, but there are also many common characteristics. Tess is reluctant to let Mimi in, but the woman's persistence wins her over every single time. I was anxious to find out more about their connection, their past and the revelations that are being done. Each step of their journey kept me on the edge of my seat. T. E. Woods has a fabulous compelling writing style. Her vivid descriptions, skillful distribution of the exact right amount of tension and amazing presentation of a large number of interesting puzzles kept me intrigued from beginning to end. The Wrong Sister constantly surprised me, which made me eager to keep reading. The story has a great fast pace and there are plenty of terrific twists and turns that constantly piqued my curiosity. I really enjoyed reading this marvelous thrilling book and can't recommend it enough. If you love gripping stories filled with terrific secrets you should definitely read The Wrong Sister. 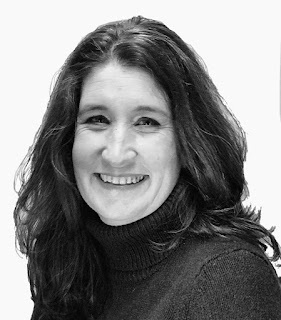 T. E. Woods is a clinical psychologist in private practice in Madison, Wisconsin. She is the author of the Justice series and the Hush Money series. Her habit of relaxing by conjuring up any manner of diabolical murder methods and plots often finds her friends urging her to take up knitting. 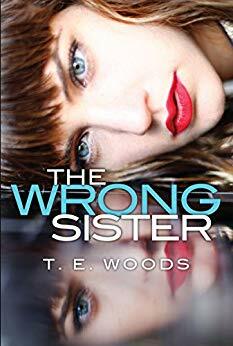 Three very lucky readers of With Love for Books will receive a paperback copy of The Wrong Sister by T. E. Woods. Amy is looking forward to the next chapter in her life. She's going to Chicago to study architecture, just like her father. Going to Chicago will give her a chance to see more if him. She hopes that when she's there, their bond will become stronger. However, there's a summer in her small hometown Shelby to get through first and Amy's mother has no idea what her daughter's plans for the future are yet. Amy's mother doesn't approve of Amy's father and Amy knows she isn't going to like them. Amy isn't looking forward to the long days ahead of her, but then Seth appears. Who is this mysterious guy and is it smart to form a relationship with someone when they both won't stay in town? Seth is in Shelby to make sense of his past. He wants to talk to his father to find closure, but that isn't as easy as he hoped. His father was keeping many secrets and isn't welcoming Seth with open arms. Fortunately there's Amy to offer him some distraction. Seth might not have found what he was looking for in Shelby, but he leaves the town with plenty of new experiences. Will he be able to embrace the future now that he's faced his past? 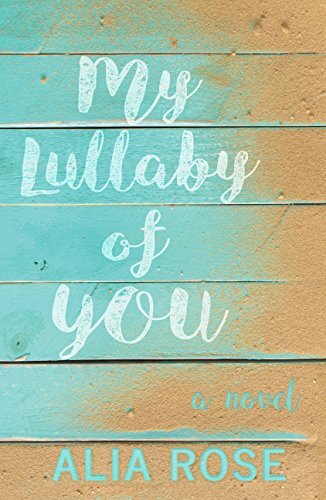 My Lullaby of You is a wonderful story about the complexity of family, dreams and finding love in an unexpected place. I was intrigued by both Amy and Seth. They didn't have easy childhoods and their first introduction to adulthood is inevitably colored by their experiences. I was curious to find out how they'd deal with their pain and if they'd be able to move past it to have a brighter future. Alia Rose skillfully writes about their feelings, she doesn't spell everything out and leaves room for the reader to interpret, which is something I absolutely loved. My Lullaby of You is a story about difficult relationships, forgiveness, uncovering truths and internal struggles. I liked how Alia Rose deals with her subject matter, she never makes her story too heavy and adds the exact right amount of seriousness to each chapter. Because her writing reads easily I flew through the pages of My Lullaby of You. I was captivated, enchanted and entertained. I read this beautiful book in one sitting and highly recommend it. If you love beautiful stories about growing up and learning to love you don't want to miss My Lullaby of You. I've been writing since I fell in love with reading and now the characters in my head refuse to leave me alone. My debut novel, My Lullaby of You is out now! Three very lucky readers of With Love for Books will receive a Kindle copy of My Lullaby of You by Alia Rose. This question made me think, a lot. What does make my heart beat faster? And why does it do that? I’m assuming we’re talking positive things here, not spiders, the dark or maybe worse? So, what gets me excited? As far as I can tell there are two things. The first is hope. Hope that better is to come, success, achievement, happiness. Hope is that spark of excitement I get when I’m learning new things. Hope that I will improve. Hope that I will find happiness and contentment in something other than those I love. I get excited when I understand an aspect of story craft I have never quite understood before, or thought I had but now realise I’d been wrong. I feel excited that I may become a better storyteller; that I may one day succeed. I feel excited when I try a new craft, because of the hope of spreading my wings and being able to create something different, like my recent venture into screenwriting. It excited me because it made me feel I was learning to be both a better writer and a more diverse one. I feel my heart beat a little faster when I finally get the hang of a new move in pole dancing, my other love. And when that move has eluded me for so long, the joy is even greater. I deliberated for a long while on what this meant. Had I been wrong? Was it learning that thrilled me? Was it achievement? But not all learning thrills me. And I haven’t yet found what I would deem success. I feel a sense of achievement after I’ve cleaned the house, but that DOES NOT make my heart beat faster. No, it was hope. The hope of these things. 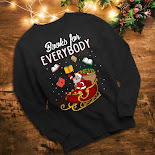 Like the anticipation of Christmas – why I like Christmas Eve best. And the hours before you check your lottery ticket, when all things are possible. Hope is what makes my heart beat faster, hope and guinea pigs. Jake has unexpectedly inherited a title, so he's now back in England fulfilling his viscount duties. Jake wants to marry a decent woman, so he can save his daughter's reputation. They left the Far East with many secrets that aren't supposed to come out. However, an art theft that's linked to Jake's past threatens to make life difficult for his daughter. To protect her future Jake has to find out more about the thief. Lady Olivia, who's a passionate art lover, seems to have a connection to him, which Jake could use. The woman intrigues Jake, but scandal surrounds her. Should he get involved with her? When Jake needs to find a good school for his daughter, Olivia can assist him. In return Jake will help her to become independent. Olivia wants a townhouse of her own, but as a woman alone she isn't able to buy one. With Jake's involvement she can achieve one of her biggest dreams. Once they've fulfilled their parts of the bargain they plan to go their separate ways, but they keep running into each other. Is this chance or purpose and are they playing with fire to keep spending time together? Tempted by the Viscount is a wonderful romantic story. I loved that Olivia is strong and determined. She chases her dreams, isn't afraid to speak her mind and knows how to get what she wants. I admired her intelligence and sparkling personality. She constantly challenges Jake, which is exactly what he needs. Jake is used to adventure and being a new member of the ton isn't what he had in mind for his future. She keeps his life interesting, which was fabulous to witness. There's plenty of chemistry between them and I liked how they can't stay away from each other, their attraction is too strong. I loved how Sofie Darling made sparks fly, it was easy to feel this magnetism. Tempted by the Viscount is a captivating book filled with surprising twists and turns. I like reading a good story about secrets and Sofie Darling made me incredibly curious. I was spellbound by her words and enjoyed her gorgeous vivid descriptions. 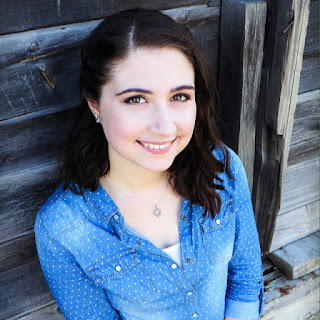 Her writing is energetic and compelling, which is something I really loved. Tempted by the Viscount definitely tempted me, it's a fantastic romantic book that put a big smile on my face from beginning to end. If you love historical romance you don't want to miss Tempted by the Viscount. It's the second book in the Shadows and Silk series, but can easily be read as a standalone. I would offer you a cup of Earl Grey and a scone, but, alas, the limitations of our digital age. 2) What’s the inspiration behind the Shadows and Silk series? Several years ago, I read a historical novel set in early 19th century Dejima, Japan and was fascinated by the setting. Before 1854, Japan was closed to all Western trade with the exception of the Dutch and only on the small, man-made island of Dejima located in the Bay of Nagasaki. It wasn’t long before my half-Dutch, half-English sea captain came to me, and his story began to unfold in my mind, then on paper. Tempted by the Viscount was born. 3) You write about people with a past, what’s so interesting about main characters who have many different sides? I feel like a past puts meat on a character’s bones, the kind I can sink my teeth into and savor. These are the characters I like to read and the ones I find interesting enough to write. 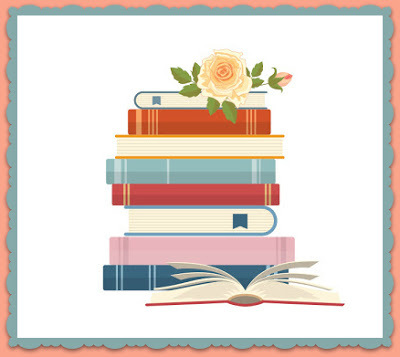 4) How did your love for historical romance start? In middle school, I devoured all of Jane Austen and the Bronte sisters’ novels. 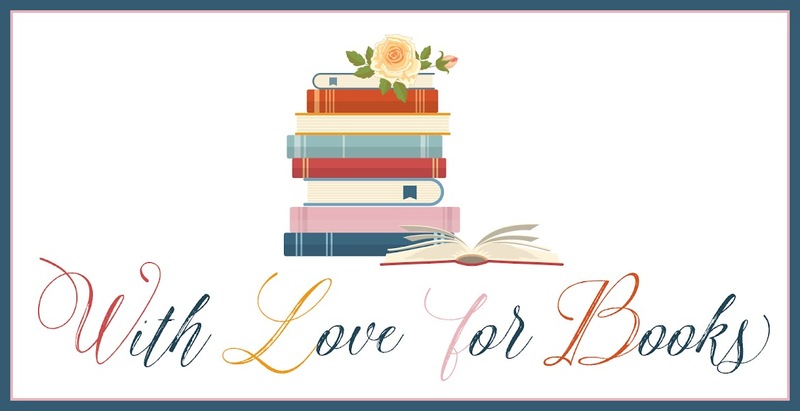 When I picked up my first historical romance at age fourteen (Love’s Hidden Treasure by Carol Finch), I was instantly and irrevocably hooked. I suspect many readers come to historical romance this way. 5) You combine both of your degrees in your writing, how did this writing journey start and was it always your dream to become an author? I can’t say that it was always my dream to become an author. There was just a point in my early thirties, when my boys were a little older, that it clicked that I wanted to write historical romance and that maybe I had a fresh take on the genre. So, I finished my English / History degree with a concentration on creative writing and started writing happily ever afters. 6) You love swoon-worthy heroes, which key ingredients should their personalities have? For me, and this is completely subjective, a swoon-worthy hero is protective and loyal. He’s a guy confident enough to appreciate the strengths of his lady. He never, ever lets his loved ones fall. Alyssa Cole said it best: A beta on the streets, an alpha in the sheets. 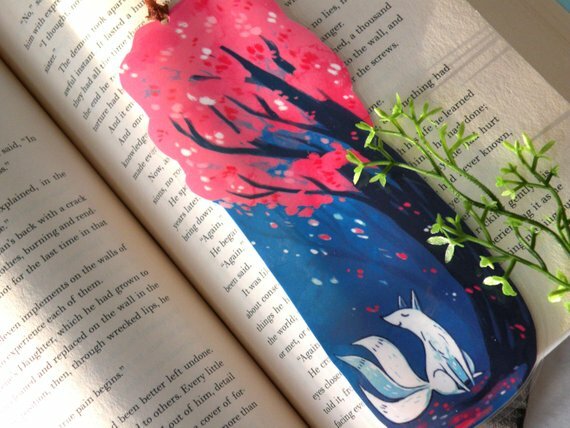 7) You find inspiration through reading, which book made you realize you wanted to write and is there a book you can read over and over again? Mary Jo Putney’s Fallen Angels series is the one that made me want to write. Not because I thought I could do better, but because she inspired me so much. I reread Black Silk by Judith Ivory every year. I love her books so much. 8) If you could travel back in time, which era would you visit and what would you like to do? Since childhood, I’ve been a little obsessed with the Romans. I would love to visit the Forum in Rome when it was operating in its full glory. 9) What does true love mean to you and what should a perfect happily ever after look like? For me, you can’t have true love without true like. Without true like, true lust can’t transform into true love. To have a perfect happily ever, I think both partners have to be comfortable with the imperfect, in both themselves and each other. There’s a saying that I like, that I think applies to happily-ever-afters: Don’t let the perfect get in the way of the good. And laughter. Lots of that. 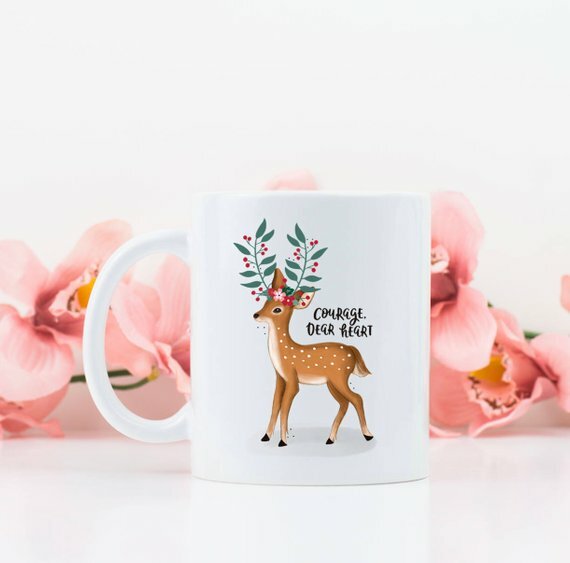 Thank you so much for having me on your lovely blog today! I really enjoyed myself. One very lucky reader of With Love for Books will receive a signed paperback OR digital copy of Three Lessons in Seduction, the first book in the Shadows and Silk Series by Sofie Darling (winner's choice). I'm Abbie. 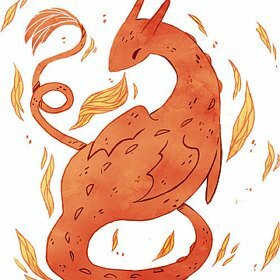 I'm an illustrator and writer based in Cornwall, England. 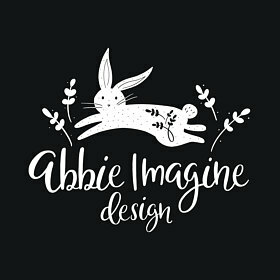 Abbie Imagine produces prints, greeting cards and homeware, all hand designed by me. Every poster is printed to order in house on thick archival matte paper. When I'm not sketching random words in the hopes it'll become a beautiful design, I'm writing my first novel, bugging one of my animals or exploring the Cornish countryside. I have two house rabbits and a Border Collie who requires copious amounts of attention and endless beach runs. I can indeed! 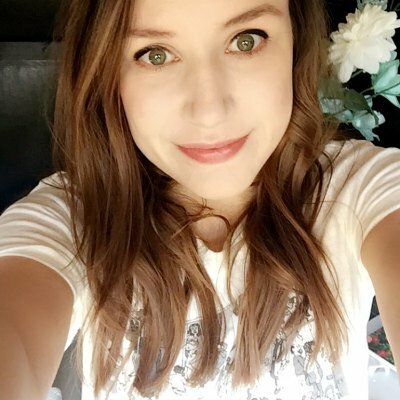 So, I’m Abbie, mad rabbit lady, illustrator, dog mum and country bumpkin, living in Cornwall, England (aka Poldark land). I’ve always drawn and I’ve always written. In school, whenever I was asked that question, (you know the one, “What do you want to be when you grow up?”) my answer was always, “I’m going to write books and draw the pictures.” Well, that and I wanted to be a Blue Peter presenter, but it turns out I’m far too introverted for the TV life. Today, I draw pictures for a living and I have technically written a book, so the childhood ambition is very almost realised. Books are a huge inspiration for me– the language, the imagery, the characters themselves. That and where I live. Cornwall is a very small county in the very south of England, surrounded on three out of four sides by the sea and rolling hills full of nature everywhere in-between. You’re never more than half an hour away from the coast and it’s an always beautiful, but sometimes rugged landscape. When you’re stood in an ancient village, surrounded by narrow roads that were never built for cars and lined by old fishermen cottages, with a still working harbour and old tales of smuggling, you can’t help but feel inspired. On a stormy day, with the sea crashing against the harbour walls and the sky a magnificently angry grey, it fills your mind with so many stories, so many images, so many voices from the years gone by. But then the sun comes out, and in your head plays, “Oh, I do like to be beside the seaside!” on repeat, suddenly a whole new feeling manifests and your work becomes sunshine and fishing boats and happiness. 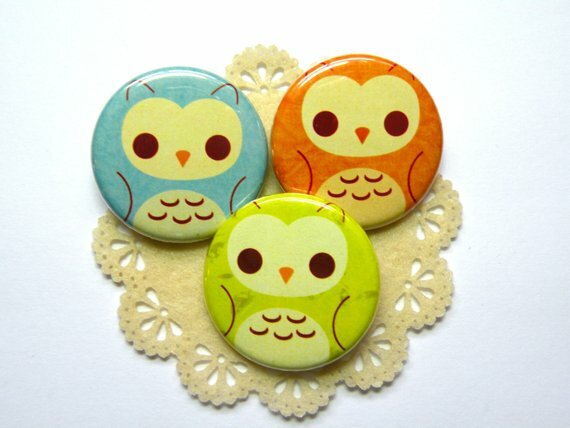 3) Where did you learn to illustrate and design? Honestly, I never really ‘learned’, at least not formally. My grandad was a self taught artist. He would sit on the sofa, in front of the TV with any scrap of paper or card he happened to have near him– sometimes it was an old bill that had come through the post, sometimes it was a cereal box– and he’d just draw. No reference photo, no plan, he’d just pick up his pencils and on to the paper, an amazing drawing would appear. His favourite things to draw were ships, animals and football games. When he and my nan would go on holiday, as presents, they’d bring me back sketchbooks and pencils, then I would sit in the lounge with them doing my own doodles. Since then, I’ve always drawn as a hobby, but I haven’t always been very good at it– it’s just something I liked to do. It’s taken years and years, but through sheer determination, I’ve finally found my ‘style’. It’s a cliche, but it really is all just about practice. I don’t think I do anything technically correct, I have no idea what even is ‘technically correct’, but I like what I do and as it turns out, so do other people. And that’s really all that matters. A mess! Oh gosh, I’m so messy. I’d love to be one of those artists with a beautiful, Instagram worthy workspace, but right now, there isn’t even one patch of empty space on my desk. 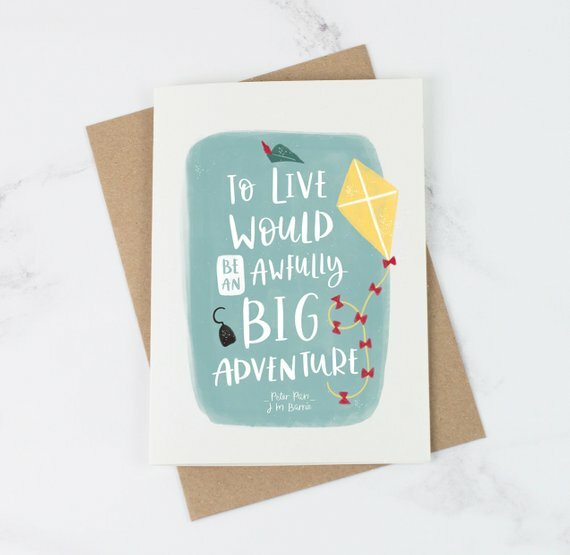 It’s piled high in greeting cards I’ve just printed for orders in my shop and their packaging, far too many printers, shortbread biscuits… but it’s organised chaos. An outsider would see it and run out of fright, but I know where everything is (well, mostly). They say it’s a creative thing, the messiness, so that’s my excuse. Oh, thank you! That truly means so much to me. It goes all the way back to childhood. From as long as I can remember, I’ve loved books. Growing up, I shared a room with my little sister and our mum would read us a bedtime story every night. She said the only problem with that was I would never let her stop. 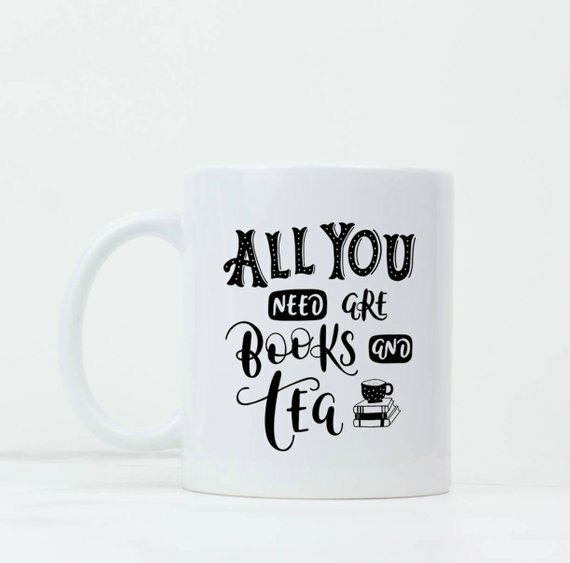 It was always, “just one more chapter. Just one more!” And once she did finally get to put the book down, my sister and I would then make up stories together. We called it ‘Dreamland’ and we’d spend all night coming up with stories using our favourite pop stars as characters. Some nights we’d get so carried away in our fictional world, it was suddenly seven a.m and time to get up for school. I genuinely have no idea how we both managed to function at school on such little sleep! 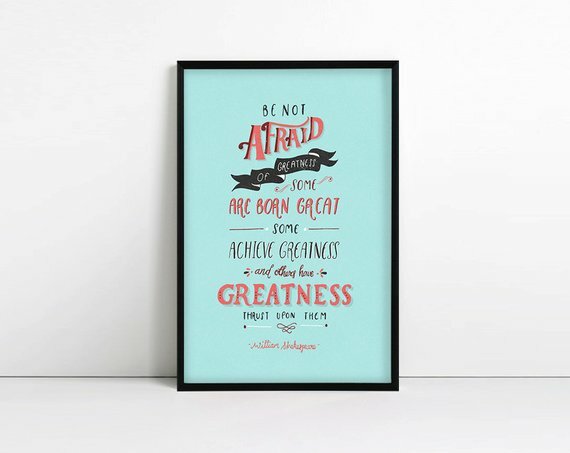 6) You use a lot of quotes, how do you select the quotes you use for your products? For the main part, I try to keep my distance from copyright problems, so I stick to books that are in the public domain. Luckily for me, a lot of those are my absolute favourites. 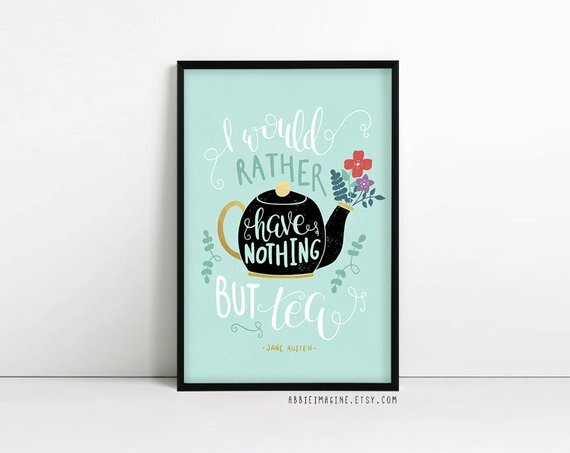 Jane Austen had such wit, so I’m always drawn to her work. Plus, my sister is really into ancestry and she’s found a line that suggests we share a great, great, great, great, great… great? Probably a few more greats… grandad with the Austen’s, so I like to think I’m waving the flag for my fourth cousin a million times removed. 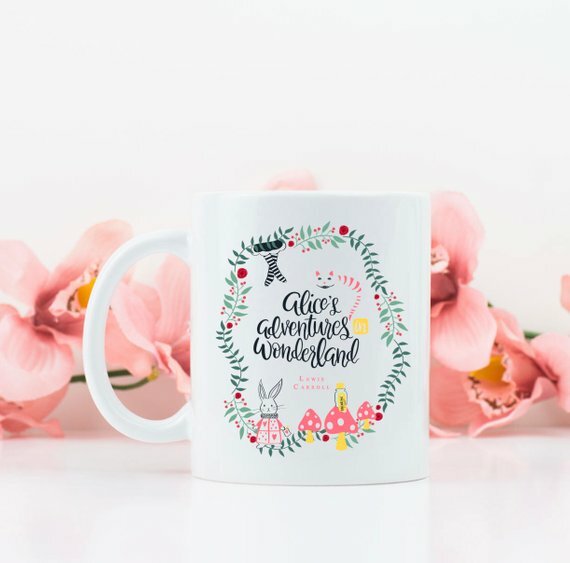 Alice’s Adventures in Wonderland is another favourite because it’s so quirky, yet so inspiring all at once. There’s such a cleverness to the writing, despite being considered a children’s book. 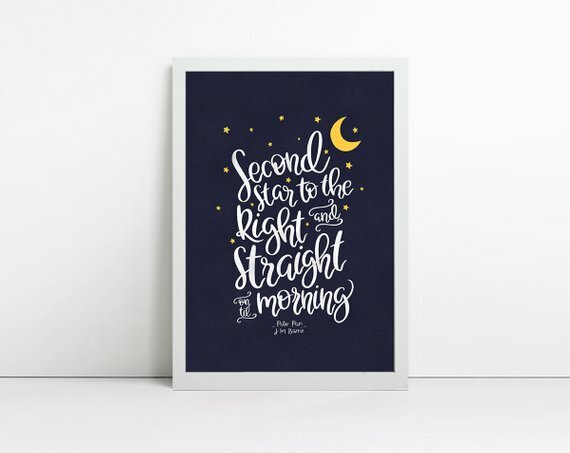 I have a bit of an obsession with beautiful books and buy up any pretty copy I can find of Peter Pan, Alice, Pride and Prejudice etc, so whenever I’m in a slump, I bring out one of the pretty books and have a flick through to find a quote that resonates. 7) You're also a writer. 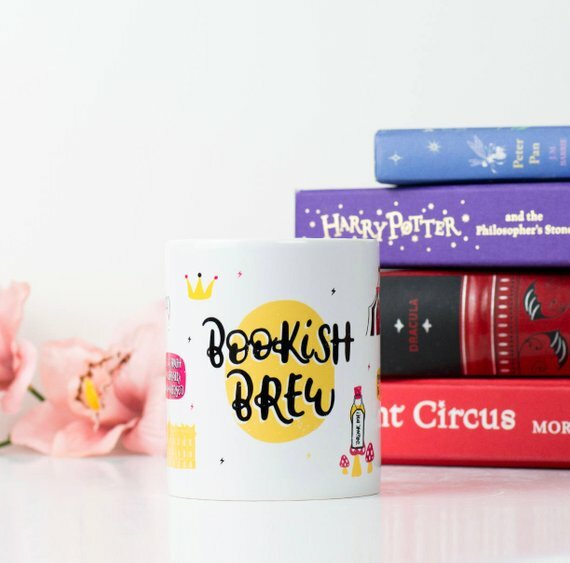 Could you tell us a bit more about the kind of books you write? I can! I have this thing about magic. When I write, I like to transport myself to a world that’s different. Where the things we deem impossible perhaps aren’t. Where the things I like to believe could exist are almost tangible rather than abstract and contested. I have a few works in progress, but I have finished one book. Well, in as much as it has a beginning, a middle and an end. It reads from start to finish. Whether I’m entirely done editing yet is another matter. It’s set in our modern world, but in a community of witches, with covens and mystery and families at war. It’s YA and I hope for it to be a three part series. I’m also writing one that’s a little more on the paranormal side with Victorian England pomp, a secret society and a ghost called Oswald. Out of university, I got a job as a writer. It was for a group of websites and I’d write about gaming, new technologies and gambling (although I had little to no interest in any of these things). It was a small company and I worked from home, only seeing my boss in person once every few weeks. One day, the system I used to add bits to the websites stopped working. Then my emails to my boss started bouncing back. Then I wasn’t paid. Tragically, it turned out my boss had died quite suddenly and the company was completely shut down. I was in Cornwall, with a media degree, but with no media jobs for hundreds of miles around. 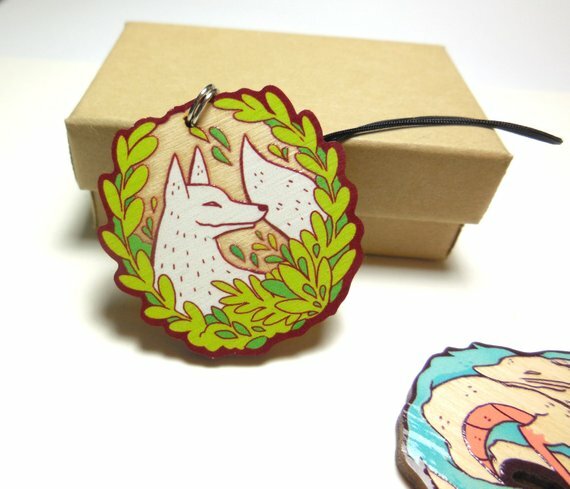 I started applying for any job that was remotely linked to my degree and in the meantime, I found Etsy. 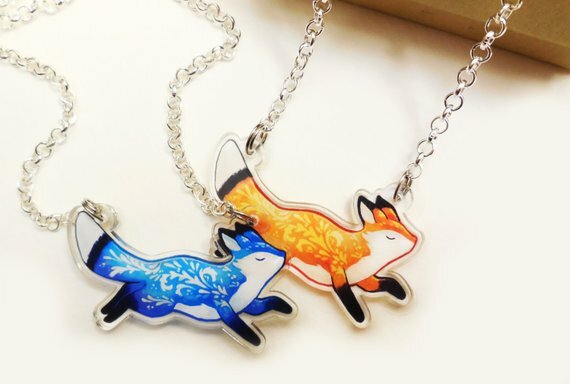 I decided to open a shop because why not? I could kind of draw and I had nothing to lose, but maybe I could make some pocket money to tide me over. I remember people saying to me at the time, “Yeah, but no one actually buys things like that, do they? You can’t do it as a job.” Five years later, it’s my full time career. It’s not been easy. To this day, it’s not easy, but it’s all mine, and that’s quite a lovely feeling. There’s a certain amount of pride in knowing everything you have, you’ve built yourself. Don’t get me wrong, it’s so, so difficult. There have been a few times I’ve thought about giving up. There will probably be a few more times in the future! Sales aren’t always consistent, but then sometimes, sales are absolutely bonkers. It’s a constant game of balancing and trying not to let emotions, good or bad, overwhelm you, but at the end of the day, it’s something I did myself. Completely and entirely. 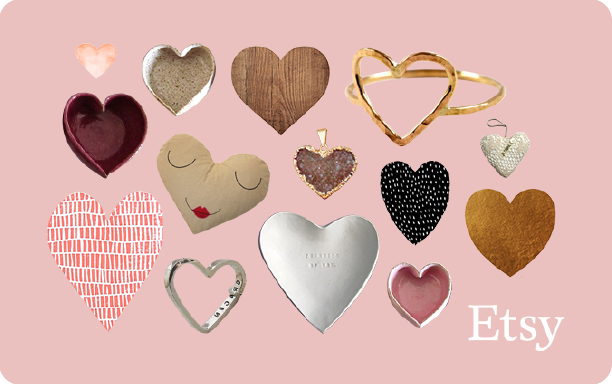 It’s my passion and heart and when I sit and think about the fact that thousands of people around the world have something I created in their homes… it’s mad– in a good way! Also, getting to have animal hugs at any point in the day is the best (though I think my bunnies disagree and would rather I left them alone for five minutes. 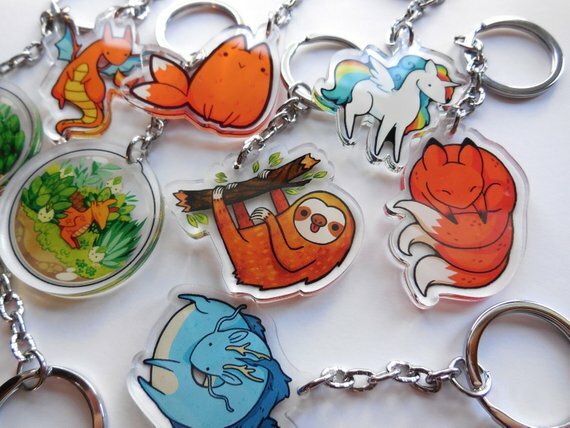 They’re so cute though, it’s not my fault). To keep growing, to keep creating and to get brave enough to try to publish my book! My dream is to be able to walk into Waterstones and see it there on the shelf. Preferably with my artwork on the cover as well (that would really be hitting the ‘write the books and draw the pictures’ dream of six year old me), but I’m willing to compromise on that one! 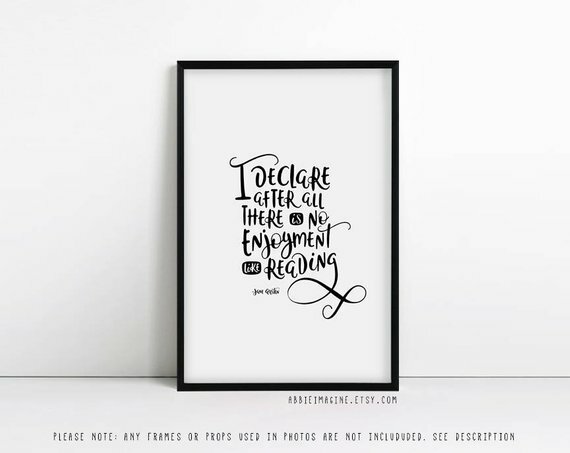 One very lucky reader of With Love for Books will receive a literature inspired print in any of the sizes offered in the shop (winner’s choice) from Abbie Smith.